Raise your hand if you’ve been on a vacation with your little ones and you have had to share one room? This is my issue all the time. Whether it is sharing a hotel room or sharing a guest bedroom at a relatives home. The moment I think of vacations with my kids, I dread the sleepless nights awaiting me. We got a SlumberPod for a vacation recently and now I will never travel again without it. My kids are routine to a fault. They have always fallen asleep in the same way, in the same spot, since the day they came home. I am lucky enough to work from home. Neither of my kids ever went to a daycare or child care facility. Due to this, they have always napped and slept in the comfort of their own cribs. 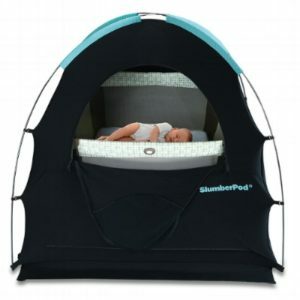 This makes for such easy nap times and bedtimes in regards to getting them settled and sleeping through the night. All the same sights, smells and sounds. Sounds like a dream right? Well, it is- to a fault. 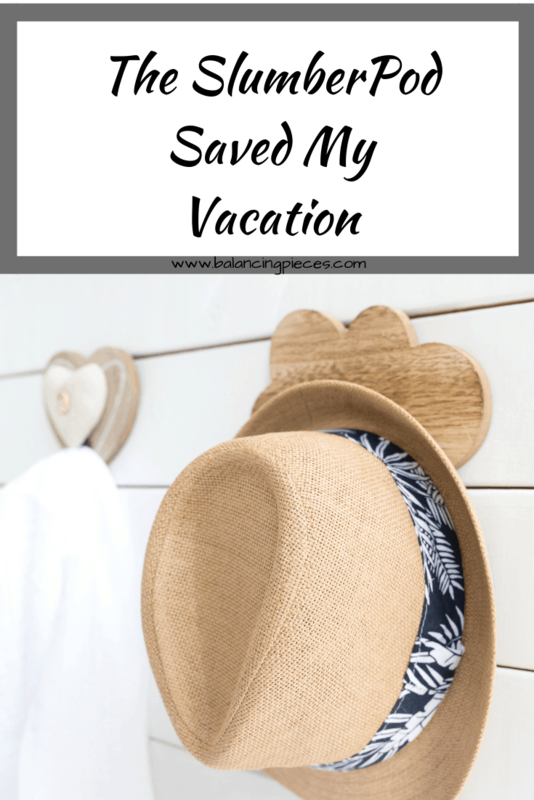 When we go on vacations my kids barely sleep. They are so torn with the unknown that they toss, turn, wake and disturb everyone. My now 3 year old is starting to get better, thank goodness. She still sleeps in her DockATot, which is another absolute must since birth. We have our noise machine with nightlight, also a must have. But it is my now 1 year old that is the constant sleep depriver. She sleeps through the night at home without an issue. When we are on vacation, as soon as she rolls over and realizes she’s not at home and then SEES US in the room with her- GAME OVER! It’s party time, even if it is 3AM. When you’re sleeping in one room it clearly means that its a PAR-TAYYYY to 2 toddlers. Once we actually moved the pack and play behind a curtain so we could get just a few hours of sleep. 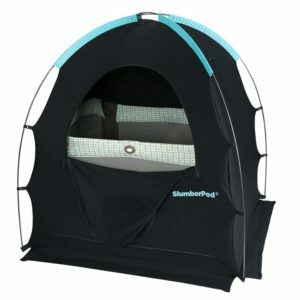 Ya’ll discovering the SlumberPod was like a moment when you hear the angels singing and the room becomes filled with blinding light. It was the answer to my prayers! We used it on our annual week long trip to Key West and it was magical. Not only were we able to sleep through the night, but my little one napped in the middle of the day with no issues. Save your sanity, save your time and get a restful vacation. 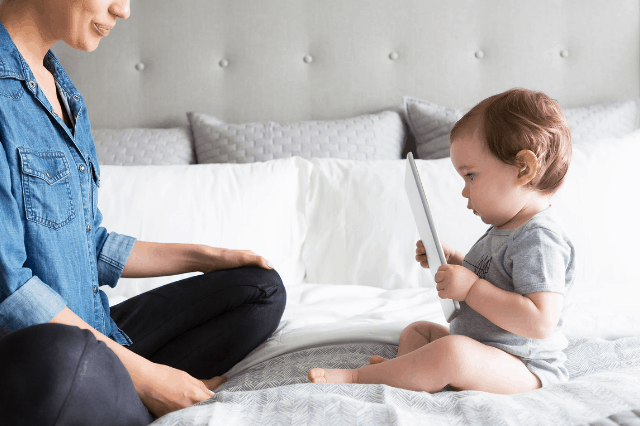 Grab a Slumberpod ASAP!